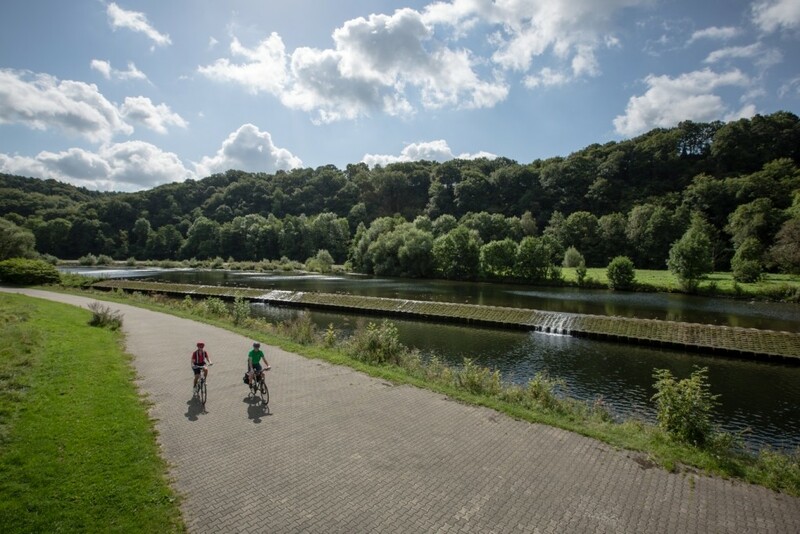 The Ruhr region is one of the five largest conurbations in Europe and is home to approximately 5.2 million people. Over decades, the region has transformed itself from a coal and steel industrial site to a service and culture-oriented metropolis. In the heart of Europe lies the Ruhr region, which is transforming itself successfully to a modern cultural, scientific and technological location with a high standard of living. Situated in the federal state of North Rhine-Westphalia, the Ruhr Metropolis stretches across 116 kilometres from east to west and 67 kilometres from north to south. The region is criss-crossed by the rivers Emscher, Lippe and by the Ruhr, from which it got its name. 53 communities are placed within the Ruhr area, of which the most known cities are Bochum, Dortmund, Duisburg, Essen and Gelsenkirchen. Industrialization started in the 19th century and collieries and steelworks drafted workers from all over the world. From the 1960s onwards, the coal and steel enterprises became increasingly unprofitable and were gradually decommissioned. The formative coal and steel industry disappeared and the structural transformation began. The University of Bochum gave the starting shot for the transformation to a location with future, which was the first university to be founded in the region in 1963. Meanwhile, the Ruhr Metropolis with its more than 20 universities has developed into one of the densest education and research sites. Today, the region is a great example for transformation, infrastructure, architecture and development. With the motto “Change through culture – culture through change”, Essen was chosen as the European Capital of Culture 2010 to represent the Ruhr Metropolis. With its hundreds of museums, theatres, concert venues, festivals und industrial monuments, is also a cultural conurbation. Over 3.500 industrial monuments, 200 museums and many theaters and cultural centers are an exciting composition of culture and entertainment. The spectacular architecture of the former coalmines and steel factories today are a landmark in industrial and modern architecture. 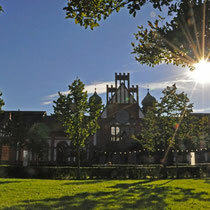 With its museum, restaurants, events and culture, the change the region has undergone is truly visible here. 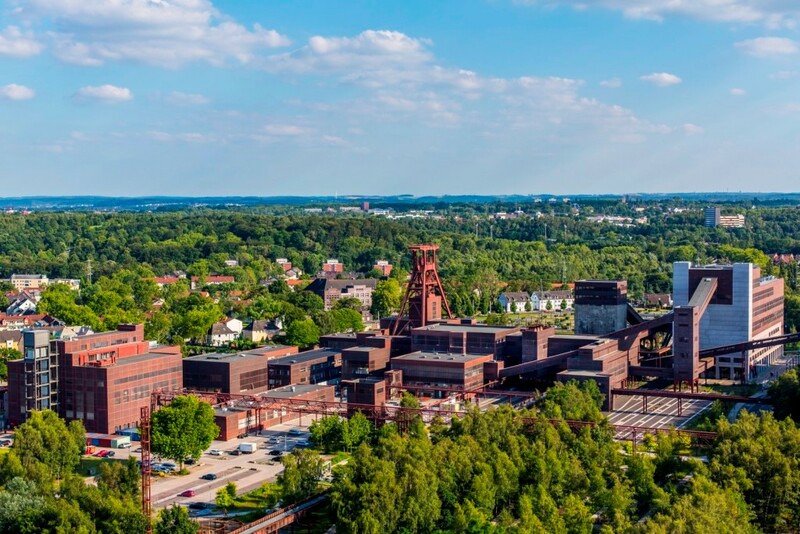 The Zollverein World Heritage Site is now the best-known industrial monument in the Ruhr Area, and is the center point of its creativity-based economy, housing i.e. the red dot museum and the Ruhr museum. 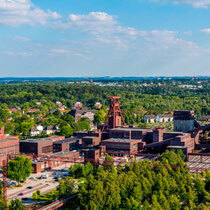 The Zollverein colliery is a landmark of the Ruhr metropolis, and is an absolute must for any visitor to the Ruhr Area. The Gasometer in Oberhausen, a former gas storage facility, can already be seen from a great distance, making it a high-visibility landmark for the Ruhr Area, and is one of the most impressive exhibition venues in Europe. 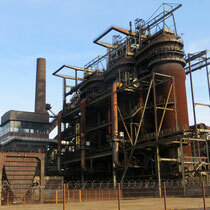 It offers a magnificent view over the entire western Ruhr Area from the 117-metre high roof. 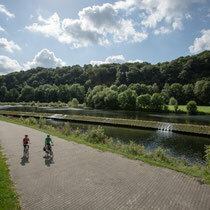 Another top tourist highlights in the Ruhr Area is the Duisburg-Nord landscape park. 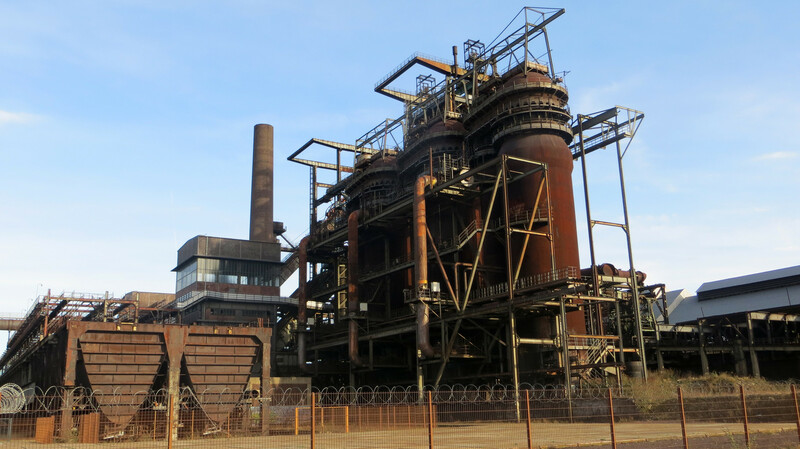 As a decommissioned iron smelting works, the landscape park is now one of the most important industrial monuments, as well as being an excursion destination, a venue for events, climbing and diving. 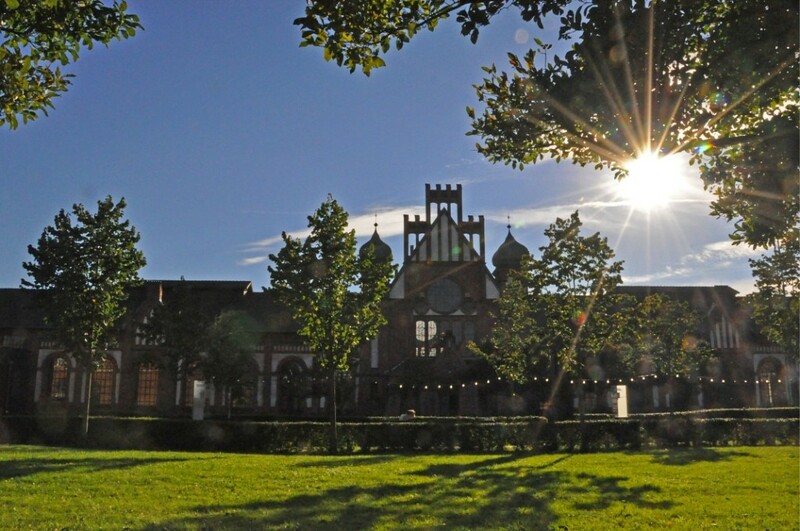 The park is around 200 hectares in size, and is located in northern Duisburg, offering the finest in industrial heritage.